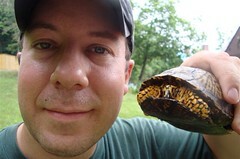 Many thanks to Jim Adams (http://ayearinoatka.blogspot.com/) for recently helping me add a couple life birds to my list. One was this Virginia Rail, seen at Mendon Ponds Park near Rochester, NY. Normally a secretive bird, this one was easier to find than usual due to a shortage of open water this winter. 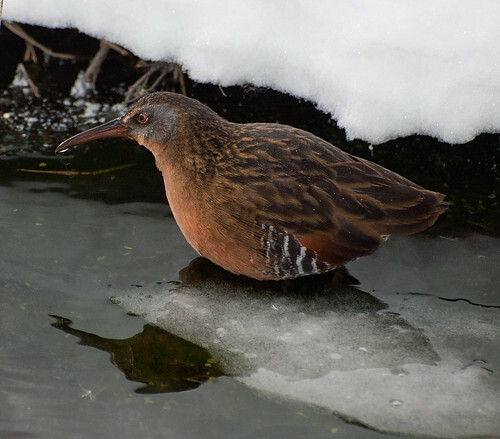 Virginia Rails feed by probing shallow water and mud for insects, fish, frogs and other aquatic animals. The small area of open water where it was forced to feed is near a hiking/cross country skiing trail in the park which allowed for unusually good views.